If you traveled along Dunearn Road from Eng Neo Avenue to Adam Road, the most prominent landmark that you will pass by is the beautiful, sprawling new campus of the Nanyang Girls’ School. Do you what institution used to occupy this piece of land? Answer: Singapore’s first junior college, the National Junior College. This year (only a few more hours left of 2009 even as I hammer away at the keyboard) marks the 40th anniversary of the founding of NJC and yours truly was one of the 572 seventeen-year-olds who formed the pioneer batch of students from all over Singapore. 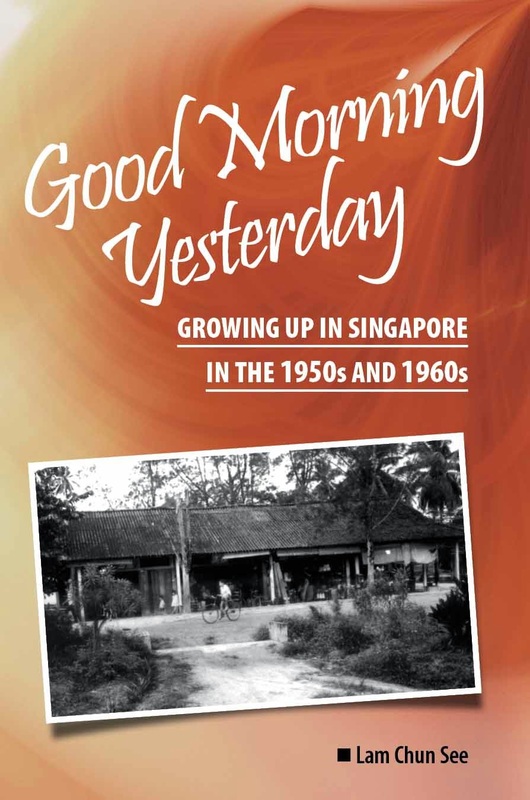 To commemorate this occasion, a group of my fellow NJC-69ers decided to put together a book compiling our memories of those two years spent in a place that no longer exists in Singapore’s ever-changing landscape. Thanks to Good Morning Yesterday, an unknown kid from an unknown kampong called Lorong Kinchir got to pen two stories in this special book titled, And they called us car park attendants. Both stories have been told in this blog (see links below) before and so I shan’t repeat them. Time does not permit me to share with you my other memories of NJC, except to say that I enjoyed my two years in there, even though at that time a few of us were branded traitors by our former school. Good thing I am one of those you would call a “blur sotong” and so I did not even know about it until recently. Interestingly whenever I think of NJC, pictures of two other places come to mind. One is the huge field next to our campus. During the initial months, before we had our own canteen, we had to trudge across this huge field and climb a long flight of stairs to have a lunch in the tuck shop of the neighbouring Dunearn Technical School. The other place is the former Ministry of Education complex at Kay Siang Road. I remember nervously going there to collect and submit my application forms. I think I also attended an interview there. What did I enjoy most about NJC? The two things I blogged about - the badminton and the outdoor activities club. I also treasure the opportunity to meet new friends from diverse backgrounds, such as the group from Bartley Secondary. I even got to know some boys from Malaysia as well as friends from the Chinese stream. 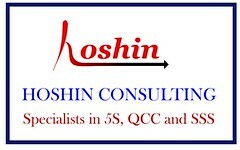 And here’s wishing all friends and readers good health and success in all that you do in 2010. In our recent trip to Yong Peng, we also had the opportunity to visit a rubber plantation. Our hosts who were rubber tappers were very enthusiastic to explain to us about their work. Below are some photos of things you will not find in Singapore - including close-ups of the rubber tapper's knife. Remember the light that I strapped to my forehead. Nowadays the light is powered by batteries. But in the old days they used something called chow tor - literally, ‘smelly earth’ - in Hokkien. Do you know what was that? We also discussed the problem of snakes. I happened to chat with a Malaysian friend about this the other day. He is now a Singaporean PR (permanent resident). When he was growing up in Pekan Nanas, he too used to help out in the rubber plantations. He told me he had to wake up at 3 in the morning and start work at 4 am. He said that snakes was not a big problem as long as you do not ‘disturb’ them, although he does recall seeing or peng’s. Do you know what snake is that? The biggest problem apparently was the mosquitoes which came in swarms. They had to cover themselves from head to toe leaving just a slit to see through. What a way to make a living! Younger readers may not know this. Not so long ago, rubber plantations were a common sight in Singapore. For example, if you were to check out this World War II topographical map which my friend Kenneth put up at Flickr.com, you will see many rubber plantations in the Thomson-Braddell area. (you have to zoom in). In fact, in my previous posts, I have mentioned seeing rubber factories in places like Lorong Chuan, Bukit Timah and Upper Thomson Road. So I believe there are actually living in our midst Singaporeans who once made a living from this humble profession. Do you know anyone like that? Can you name some places in Singapore where you can still find rubber trees? Of course I am not referring to the islands around Singapore. I am sure there are still lots of them on Pulau Tekong and Pulau Ubin. I can think of three such places. 1) The forests of MacRitchie near the Venus Drive area. 2) Chestnut Drive near the water pipes. I think I saw some the last time I went there for my brisk walking exercise (see photo below). 3) Woodland Town Park East. Whilst researching the whereabouts of Marsiling Hill 180, I saw many rubber trees here. I received this request for assistance in my inbox. If you are able to help out please email me. Thanks. I am Mr Seow Hwye Min from Select Books. 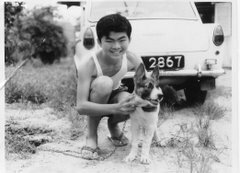 I came across your blog and was wondering whether you would be willing to help us contact people who lived around the Singapore River area from before the war to the 1950s. Select Books is the publisher of the Hike It! series. This is a series of children's walking tour guide books. The series is supported under the National Heritage Board's Heritage Industry Incentive Programme. The first book in the series, Hike It! Bras Basah & Waterloo, was published in August 2009. We are now working on the second book, which will feature the Singapore River area. In the course of the research, we felt that it would be ideal to identify a few people who lived in that area, so as to weave their stories into the book. Recently I visited Yong Peng with my brother Chun Chew (Zen), my sister Pat and her husband KC, and her friend Hui Choo. It was a very short trip and we stayed only 1 night. You might think that Yong Peng is such a small town and thus there isn’t much to see. But Hui Choo is from Yong Peng and her brother and sister-in-law brought us to see some interesting things that you certainly would not be able to enjoy in Singapore; such as the traditional pasar malam, roadside chendol stalls and this durian farm. It belongs to Hui Choo's brother. It was a small plantation and they have only about twenty trees plus some mangosteen and dragon fruit trees. Unfortunately, our timing was not very good as the durians have not ripened yet. But our hosts invited to visit again when the time is ripe. Question? Why are there so many durians on the ground? Answer: Monkeys pluck them and chuck them on the ground. They would return in a few days when the durians start to rot and then eat the fruits. Of course the monkeys did not pile the durians into a neat pile like these. Our hosts did that. Another question. How can you tell if a durian was plucked by the monkeys or if it dropped off naturally. I did not observe until we talked about it later; and so I will leave it to Chun Chew to explain. To deter the monkeys, they strapped zinc sheets to the tree trunk, but apparently it wasn’t very effective. Here’s a little quiz before I sign off. What is the lamp on my forehead for; and what is the object that I am holding in my hand used for? Hint: Our hosts used them for their work which starts at 4 am every morning. Last week I visited a small Malaysian town called Yong Peng with my brother Chun Chew (Zen), my sister Pat and her husband KC, and her friend Hui Chen. I will blog about some of the interesting things that we did and saw there later. We were in a cake shop when I spotted an interesting traditional snack that I have not seen since my kampong days. I don’t even remember its name. I think we called it Kok Kok Tong (candy) in Cantonese. Neither can I remember what it tasted like. I only can recall that the vendor came around on bicycle with a circular alluminium pan at the back just like in the photo below. I think this kok kok candy was white in colour or it was covered with a white powder. The vendor would use a sort of metallic cutter to slice the candy and he would announce his presence by clacking this cutter against the pan. Anyway, the printing on the box says Biskut Gula Tarik in Malay and Sparkling Candy in English. I hope readers can add more details of this delightful snack from our childhood days. It all started when I received some exciting bits of military intelligence reports about the role of the Americans in Singapore during WW2. All this time, I was under the impression that only the British fought for the liberation of Singapore from the Japanese. Between October 1944 and July 1945, American B29 bombers conducted intelligence and bombing sorties on selected targets in Singapore. The targets included POW Centers, oil storage installations, airfields, enemy bases and key installations. Photos 1a & 1b: American intelligence report (circa 1945). The handwritten ‘answers” illustrates my guesswork; a major part of the blame was because we dealt with the British Imperial metrics. Having to deal with “feet & yards” metrics in the age of S.I. was quite a challenge. From aerial intelligence reports, two items caught my attention. They were a “Tanah Merah Powder Magazine 1,100 yards WSW of Bedok Village” and an “unidentified installation 335 yards west of Bedok Village”. Since Char Lee (aka “Icemoon”) and Chin Siew Min had vested interest in this geographical part of Singapore, they pitched in time and resources to investigate further, without which this article would not have been possible. Photos 2a & 3b: View of photos from Parbury Avenue. TOP; 11 Kew Drive was the yellow dotted line box; a concrete bunker. 1 Kew Drive was the yellow bold line box, a heavy machine gun nest inside a pill-box. At the top of this photo is Bedok Corner (circa 1960). BOTTOM; Tanah Merah Powder Magazine (circa 1962). Tanah Merah Kechil the dirt track starts at the middle-bottom of this photo and would eventually connect with present-day Tanah Merah Kechil South. The Tanah Merah Powder Magazine operated as an ammunition depot and was first reported in General Gillman’s 1927 report on the defenses of Singapore. General Gillman (whose name was given to Gillman Barracks) drew up defense plans in view of the perceived Japanese threat. It was not just a normal British ammunition depot but a depot that was co-owned by one Tan Seng Poh (whose name gave rise to Seng Poh Road in the Tiong Bahru Estate area). Tan Seng Poh was an enterprising local Chinese merchant of considerable status and did business with the colonial government. Insofar as the “unidentified installation” is concern, there was no precedence because it was not built by the British. The local spy networks confirmed that it was built by the Japanese and manned by several infantry soldiers. Originally it was thought to be an Observation Post (OP) monitoring possible enemy naval movements off the east coast of Singapore but an air-recon on 12 July 1945 found it to be a wireless station. The Bedok W/T Station had 3 tall tubular masts set out in the form of a triangle of sides 235’ X 250’ X 130’ and the masts were built in the open space between two houses. It was managed by the Imperial Japanese Navy. Photos 3a & 3b: TOP: Bedok W/T Site lies abandon. The two houses are circled in yellow. Below is Upper East Coast Road with a car heading towards Bedok Corner (circa 1960). During the Indonesian Confrontation era of 1963 - 1966, the site was occupied by British anti-aircraft guns. BOTTOM: a jetty was built to unload ammunition for the Tanah Merah Powder Magazine (circa 1937). There were six feet deep trenches dug north of Upper East Coast Road. The beach was fortified with barbed-wire from Tanjung Rhu to Teluk Ayer Mata Ikan (3 meters in thickness, 50 - 150 meters from the shoreline) and only visible during low-tide. If the Japanese had not surrendered on 16 August 1945, could this part of Singapore be another “D-Day”, in similar fashion to the Allied invasion of Nazi-occupied France? During our pursuit of the subject, we discovered a more somber past. Many are familiar with the massacre sites at Siglap, Amber Road, Upper Changi Road and Changi Creek but Bedok Hill Massacre is seldom mentioned. Why is this so? Unlike the Sook Ching victims, Bedok Hill Massacre involved captured Malay and Chinese military personnel who stood in defense of Singapore. Just after 6.30pm on February 28, 1942, 100 captured men from 1st Bn. Malay Regiment, 4th Bn. Straits Settlement Volunteer Force from Malacca, and the Negeri Sembilan F.M.S. Volunteer Force were machine-gunned down and their bodies dumped into the trenches. Photos 4a & 4b: TOP: British mobile light anti-aircraft gun on top of a hill. A partial view of Upper East Coast Road bend can be seen to the left of the group of soldiers (circa 1941). The sea is on the left. BOTTOM: the sea is off Upper East Coast Road. In the distance are the hills of Pulau Karimun, Indonesia (circa 1941). Where was this Bedok Hill? From one survivor account: “We stopped on the seafront near Bedok close to a low hill. Here an anti-aircraft gun had been sited by the British. The whole detachment marched up a lane round the side of a low hill. A level patch on the hill slope was the site of the trenches. Dwellers in a nearby kampong still remember the stench of rotting corpses which hung over their houses when the wind blew in from the sea a week later”. From my personal recollections, I knew there was a British-built WW2 pill-box at Kew Drive. There were similar constructs along Bedok Road next to the Bedok Methodist Church, one on the grounds of Temasek Secondary School and the other at Bedok Corner facing Bedok Junction. So where was the location of the Bedok Hill Massacre site? What has become of Tanah Merah Powder Magazine and the Bedok W/T Station? Watch this space again! What did the old folks in my neighbourhood (Sembawang Hills Estate, Phase 2) do to pass away their time while their children are at work? A group of them in the estate went for morning walks at Pierce Reservoir. One old man had a morning ritual in his front garden which I observed for many years before setting off to school. He stood near the fence, pressed one of his nostrils closed with his finger, and sneezed out hard, expelling mucus from the open nostril. Then he repeated the process with the other nostril. I assumed the mucus from both nostrils landed on or near the same spot. After this he cleared his throat by letting off a loud rolling sound and spat out some phlegm. I never knew if this landed on the same spot as the mucus. Once he was finished with this morning ritual, his wife would join him on a walk to Pierce Reservoir. On the way there they were joined by their friends, usually of the same dialect group. I noticed there were many Hainanese in this group. Of all the Chinese dialect groups, the Hainanese is the loudest. Their conversations seemed lively and often sounded like an argument. That’s just the way they talked. But the Hainanese is the closest knit group amongst the Chinese. They consider each other as brothers and sisters. If a Hainanese has a problem, all the other Hainanese in the neighbourhood helped out. For example, if someone passed away in a Hainanese household, all their own kind will be there helping with the funeral arrangements, cooking, serving the guests and washing up after. There is an unmistakably strong familial bond amongst the Hainanese who considers each other as “kar ki nun” (own people). In the afternoons some of the old folks played mah-jong. The games were played for money and I heard that you could lose up to $30 per day (or night) if you had a bad run. That was a lot of money in those days. Sometimes they played at night, even into the early hours of the morning. It was usually the women who played mah-jong. It was almost like a “Mothers’ Club”. My mother sometimes joined them, but only during the afternoon. Usually she played in her own mah-jong group. In the evening it was not uncommon to see a family enjoying a stroll around the estate in their pyjamas accompanied by their dog (no pyjama for this one). If the weather was warm, the men and boys donned pyjama trousers and a singlet. The old folks also enjoyed listening to Rediffusion, especially the storytelling programmes in Chinese dialects. A series (covering one complete story) could last several weeks. Households who could not afford a radio set in the old days subscribed to Rediffusion for only a few dollars each month. When television was introduced into Singapore in the early 60s not many families could afford one. By the late 60s almost every home had a television set. It was, of course, black and white television. Colour television was only introduced in 1974. Anyway, the ethnic Chinese programmes, such as the Wong Fei Hong movies (that Chun See mentioned in his article on open-air cinemas), were very popular with the entire family. Chinese comedians like Wong Sar and Yah Fong were the oldies’ favourites. Although the comedians spoke Hokkien, I noticed that every dialect group enjoyed their shows. The grandparents have an important role in looking after their grandchildren. For the little ones who stayed at home, Ah Kong and Ah Por would be their constant source of companion. Primary school children in their early years were often escorted to school by grandparents. This approach allowed the parents to be gainfully employed. One day an old man passed away in the next street. As is common with Chinese custom the coffin was brought home. The family had a temporary canvas shelter built at the side of the house (it was a corner house) and the coffin and an altar were placed at the front end. Anyone was welcome to come in and pay their respect to the deceased. This was done by lighting an incense and saying a prayer at the altar. After that they could sit on one of the many tables and food and drinks will be served. I cannot remember how many days the coffin was kept there but the “open house” funeral preparations went on throughout the night. One night a group of men from the kampong at the back of our estate came into this house, paid their respects and sat down on the table. When the host asked if they’d like some refreshments, they requested a set of mah-jong. She obliged and brought them the mah-jong set. They played mah-jong till quite late. She came to my home and spoke to my mother about the guys from the kampong, afraid that they were gangsters who could cause trouble. My mother then went to her house and saw the kampong lads who called out to her “Ah Sor” (“aunty” in Hokkien) as they knew her. My mother then reassured the lady that they were not trouble makers from the kampong, just young men enjoying a game of mah-jong. She was relieved to hear that. Of course, the night ended with no incident. The funeral incident illustrates a fairly common attitude of the estate residents towards the village lads. Village or kampong people were sometimes stereotyped as either gangsters or potential trouble makers, uncouth and prone to anti-social behaviour. Admittedly, many kampong men often punctuated their sentences with excessive expletives that sounded more threatening than is the actual case. I have made many trips to the kampong at the back of our estate for fishing trips (to Asia and Cathay fishing ponds, for example) and to buy groceries from the local shop. It was just behind Jalan Lanjut and Jalan Mengkudu, not far from Lorong Kinchir. My neighbours and I have fished in their muddy streams for cat fish and once a group of us joined some of the kampong boys to smoke out a bee hive on a tree. I have worked in a provision shop run by the villagers, ate communal lunch with them and got to know some of them quite well. Thankfully I never had any trouble with the village lads. The most terrifying experience I had was being nearly attacked by a flock of aggressive red nose geese (“hor ark”). The pigs usually ignored me, preferring to lie in their muddy haven while the chickens and ducks were too timid to be a threat. Stories of gangsters and secret societies in the villages have in part contributed to the negative stereotyping of villagers. The snobbishness of some of the estate residents was another contributing factor. How often have I heard derogatory references made to villagers (e.g. “sum par loh”), such attitudes born of deeply ingrained prejudices. Singaporeans are now better educated and have more comfortable lifestyles. I do not know if the society is more egalitarian or whether such prejudices still prevail given that the kampong environment is vanishing.